Memberships and contracts can't be purchased on the app yet, but you can quickly purchase them by visiting the businesses website. If you'd like to purchase a membership or contract, you will need to make the purchase on the businesses website or contact the business by phone or email. 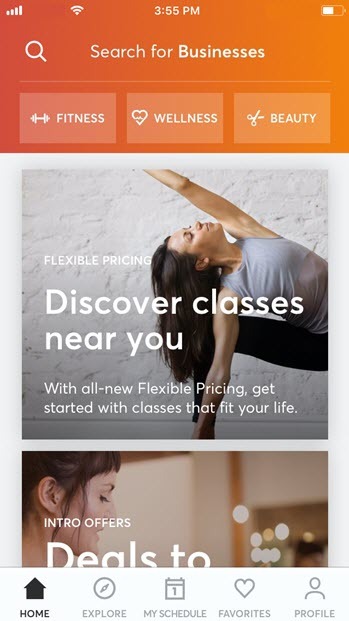 You can search for a business on clients.mindbodyonline.com. When you find the business, log in to their online MINDBODY page, click the Online store tab, then select the Contracts tab to make a purchase. You can find the business's information by tapping on their name in the app.